Delayed diagnosis can make treatment for sight problems such as amblyopia, known as “lazy eye”, much less effective. Jane Thompson’s daughter, Eve, was diagnosed with amblyopia at the age of seven. Eve said: “I’d always been seeing out of my right eye and didn’t realise anything was wrong. In contrast, Nicola Rothera’s daughter, Chloe, five, was diagnosed with amblyopia at the age of three and was young enough to use an eye patch. “If I’d had left her eyesight the way it was, then the left eye wouldn’t have been within the legal driving limits, so it would have restricted her in future life,” said Nicola, from Bradford. Farah Topia, from the AOP, said: “Catching conditions early can be massively important for a child’s development. “For amblyopia, treating a condition early means that the chances of improving the vision in that eye are a lot better. “All children under 16 are entitled to an NHS-funded sight test. 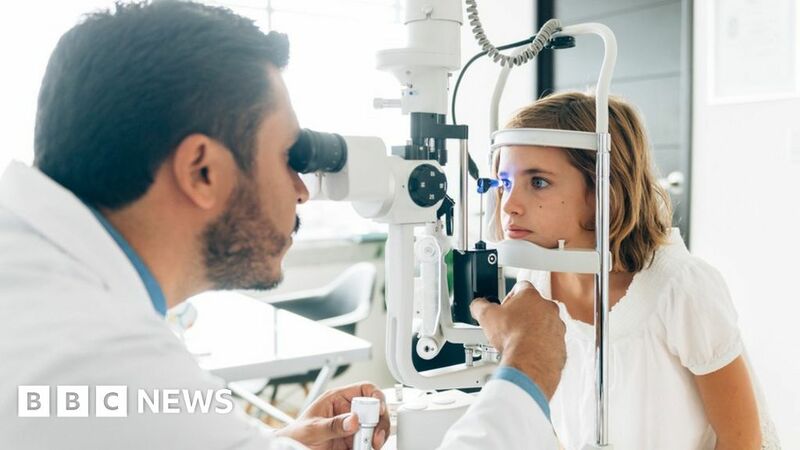 The AOP’s A B See campaign calls on parents to take their children for an NHS-funded sight test at local opticians every two years, or more often if their optometrist recommends it.